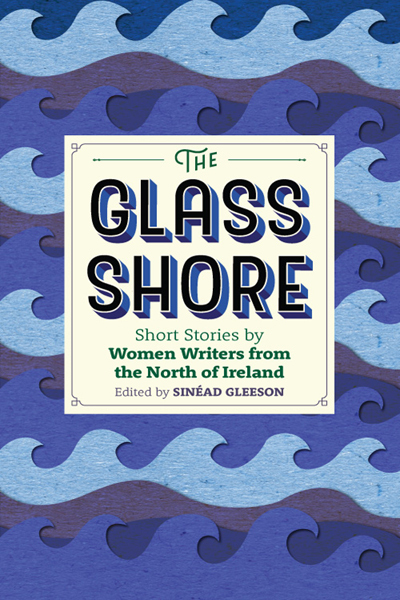 I'll be appearing at the Belfast Book Festival next week as part of an evening showcase of Irish Women Short Story Writers. Joining local Belfast writer Jan Carson in conversation will be Mary Morrissy, Rosemary Jenkinson and myself. Each writer will read from their work, and we'll be talking about the writing process and sharing (hopefully!) a few insights into the short story form, from pen-and-paper to publication! Do join us for a lovely, relaxed evening of short stories and inspiration. Tickets are still available here. "As a writer, you're often playing a game of 'what if?'" "Inspired by a blue-skied Sunday morning, buy some sheets of brightly coloured cardboard, cut them into uneven squares and write the Irish on one side, the English on the other. Man. Fear. Woman. Bean. Heart. Croí. Break. Briste." For a short time only (!) my story 'How to Learn Irish in Seventeen Steps' is published on the Irish Times website. Luana Paula de Silva O'Connor has moved from Brazil to Ireland for love. Settling into her new life as a primary teacher, she initially ignores the letters from the Irish Teaching Council which tell her she must learn Irish in order to keep her job. But with just nine months to go until her deadline, and with her relationship wavering, Luana sets out on a seemingly impossible journey: to learn Irish (in seventeen steps). "Blissfully unaware that you are writing a collection, tell each story in the way it demands to be told. The result will be less a homogeneous symphony and more a lovingly-compiled mix-tape." Wild Quiet was launched by Sinéad Gleeson in Hodges Figgis bookshop in Dublin. Thanks to everyone who came along to help launch my debut on its journey into the world. My debut short story collection WILD QUIET will be launched by Sinéad Gleeson in Hodges Figgis bookshop on Wednesday 25th May at 6pm. I'll be signing books and reading a short extract from the collection. Everyone is most welcome to come along. "It was as I sat swinging my legs that I first heard it: a low moan with the sadness of whale song, drawn out and muffled as if reaching me from across oceans, yet close enough to make the windowpanes shiver.."
"Ultimately, when you read Wild Quiet you will place a few hours of your life in the splendid company of a master storyteller." "What so vastly impressed me about Roisin’s work... is her so very rare ability to balance a truly fantastic talent for observation and interpretation with the discipline to craft rock solid, leak-proof structures. It’s all rather like one of those three-tiered cake stands that are presented to your table at a high tea; every layer is filled with tastefully arranged scrumptiousness, but it’s not over-filled either. You get to appreciate both the savory and the sweet because there’s just enough of both. ...It amazes me – literally, truly, with no exaggeration amazes me – how this young Irish writer can mind meld and speak with the voice of (to name a few): a thirteen year old black immigrant boy with a learning disability, a heartbroken and suicidal Japanese woman, a young girl who is a refugee from Somalia and is afraid to speak of her past, or a thirty year old Irishman racing back to Indonesia because his childhood friend needs him. Every one of these voices, as most of the twelve stories are written in first person, is so linguistically distinct it is like reading stories by twelve different talented writers. Or one Chaucer. Or one O’Donnell." "Looking back, I see our house as an Irish space station which had drifted off orbit." I've been overwhelmed by the response to my article in the Irish Times this week. This morning I woke up to emails from New Zealand, Italy and the USA, from people sharing their experiences of growing up Irish abroad, or of growing up in Ireland with parents from elsewhere. I hope this will open up lots of meaningful conversations on Irish identity, and that we can really start to create a more inclusive definition of what it means to be Irish in 2016. I'm excited to see how the new anthology turns out. I have a sneaking feeling it might be quite different from The Long Gaze Back, but I'd better keep my predictions to myself for now! 'Boomerang Baby', a story about being left behind, has won third prize in the Carried in Waves Short Story for Radio competition, organised by UCC 98.3FM, Ireland's only 24/7 student radio station. Listen to Boomerang Baby on Soundcloud. I recently spoke to Hubert O'Hearne at the San Diego Book Review about my short story, How to Learn Irish in Seventeen Steps, as part of the Young Irelanders anthology, edited by Dave Lordan and published by New Island Books. In the podcast I talk about writing the story, my own experience as an immigrant to Ireland as a child, and just how difficult it is to learn Irish! Roisín O'Donnell is an award-winning Irish short story writer, based in Dublin.